So it’s happened, summer has gone and the weather has turned. That all too familiar cold has swept across the land, and while the sun is still shining, the weather is not so sweet now. That’s no reason to not venture into the garden until next spring though, some of the best times are spent with friends and family with some hot chocolate, all wrapped up warm, woolly hats and all. Summer houses aren’t just for summer, they make for great places to escape during the colder months. Depending on the size of the Summerhouse, you and your friends/family could enjoy a lovely, crisp winter's evening sat inside your own winter wonderland. If your summerhouse is a bit cosier you could take some blankets out with you, wrap up warm, and lose yourself in your favourite book. There’s something oddly magical about the cold. It’s not always about spending time outside though, sometimes a quality garden shed doesn’t have to be palatial or even functional, a shed can be purely aesthetic. With that in mind, it’s great to remember that you don’t need a fire pit or fireplace in order to have a Wooden Log Storage Cabin. And from as small as 4ftx2ft, they make for a wonderful garden feature. With with a choice of pent or apex designs, you can really make it your own. Ace sheds aim to provide quality sheds in Kent, but we also offer free delivery to a large area. We pride ourselves on our custom made sheds, and our excellent service has been getting some great reviews. 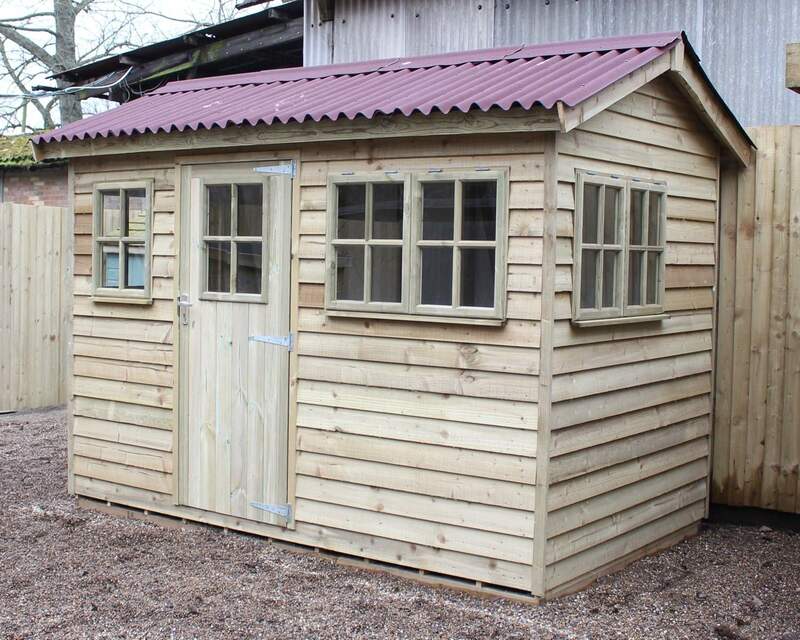 Why not find out first hand and order one of our quality garden sheds? We know you’ll be as proud of it as we will.